I am offering up no justification for this. I might as well smear it straight on my bum because it’s going there immediately anyway. 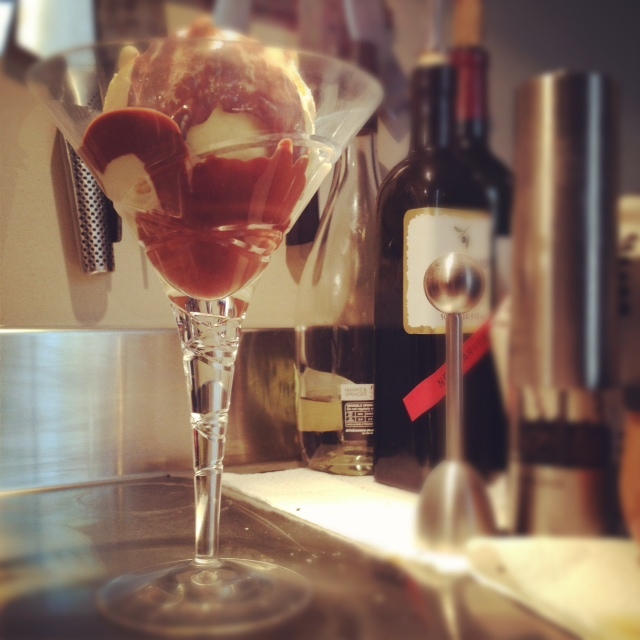 But I love ice-cream and chocolate sauce. Today I used my absolute favourite. 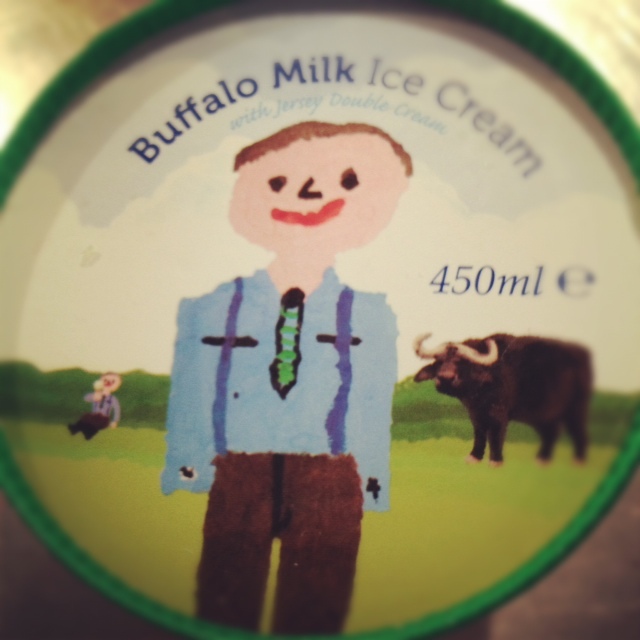 Laverstoke Park’s Buffalo Milk Icecream in its natural flavour. It is so tasty you’d swear it had vanilla in it, but it doesn’t. 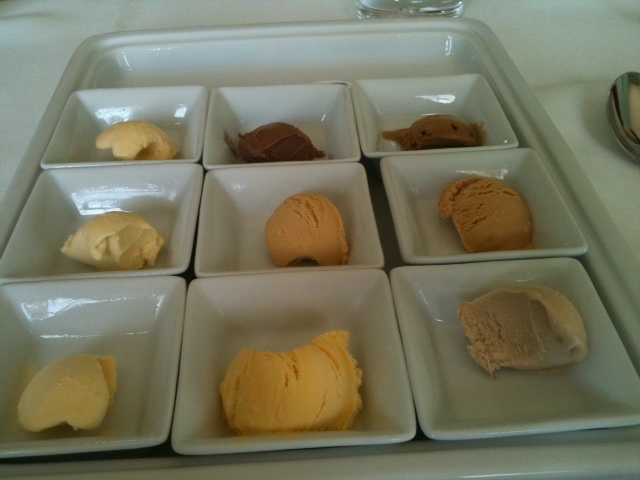 I’ve been lucky enough to taste every flavour Laverstoke make. Laverstoke’s owners. Jody Scheckter and his wife Claire have entertained me for lunch a couple of times and it always finishes with a palate of all 9 flavours. They are all intense and wonderfully essential in their tastes with no colours or articficial nonsense in them at all, but it’s the simple, natural I like best. I’m a huge admirer of everything the Scheckter’s have done at Laverstoke. They have such commitment to the whole life-cycle and combine it with a real love of people and family. All the products I’ve tried (some of which are available in Waitrose, Wholefoods and from Ocado) are excellent. I make a mean Indonesian Rendang with their buffalo meat and their mozzarella stands up to anything flown in from Italy. If you can, order directly from http://www.laverstokepark.co.uk. You’ll never look back. So, I’m a fan of Jody’s icecream but he’ll probably hate what I’ve done to it tonight. Jody likes things done simply and with no nonsense – let the ingredients speak for themselves. And I do on the whole agree. Tonight though I’m covering it in chocolate sauce, and not even an organic single estate couverture, conched by the indiginous people of a remote Javanese hill in a house made of bamboo. I used cheap American chocolate. But my defence is, I was in extremis ie out of the hard stuff. Well I had 4 squares of 70% but the only other chocolate in the house was some Reese’s Pieces I’d brought back from NYC. The chocolate is horrible but there’s something about the salty filling I just love. Bottom line, I may have created a new taste sensation. Heat together over a medium heat until melted. No need for a double boiler if you use medium fat cream. Chocolate is far more stable than people think. No need for the fuss. It will look grainy for a few minutes but give it a stir and it will soon be glossy.